And it'll debut in Las Vegas at SEMA. Once upon a time, the annual SEMA show in Las Vegas, Nevada was strictly for aftermarket tuners and other vehicle accessories providers. Today, it’s become one of the , foreign and domestic, to unveil highly modified versions of existing vehicles within their respective lineups. In short, SEMA has gone mainstream. 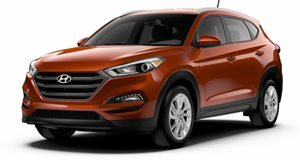 This is further evidenced by the Hyundai Tucson Sport tuned by Ohio-based Vaccar. For now, just a single rendering image has been released, but it looks pretty interesting. Starting off with a plain old 2017 Tucson Sport, Vaccar repainted it Blue Metallic with a color-change silver two-tone exterior, Vaccar front lip, side skirts, rear diffuser, M&S mesh front grille and 20-inch wheels. There’s also upgraded LEDs and a wireless WiFi controller. The interior is covered in Katzkin Ice Grey leather and Fog Suedezkin with blue stitching. There’s also several gauges showing things such as feed boost pressure and oil temperature. Vaccar also added a full LCD headrest kit and hi-fi sound system. It’s SEMA after all. Performance has also been enhanced thanks to a Boostec turbocharger, R50 blow-off valve, AEM intake, Vaccar front-mount piping, cat-back exhaust and Magnaflow mufflers. There’s also a Mishimoto intercooler and VMS Racing baffled oil-catch tank. Vaccar then added its own front and rear brakes and Vaccar-Gecko G-Street coilovers. We’re expecting to see a full gallery of official photos as we get closer to show time.